Original Title: Happy Veteran's Day, Charlie Brown! Is there was a near perfect between baby boomer nostalgia and new era kiddy appreciation, The Peanuts Movie may be it. It tells a tale familiar to fans of Charles Schulz’s 65-year-old comic strip in a manner (CG, 3D) which gives a whole new generation a chance to appreciate the characters’ gentle grace. There are lessons to be learned — subtle lessons — and Steve Martino’s direction reminds one of the classic Peanuts TV specials like It’s the Great Pumpkin, Charlie Brown and Merry Christmas, Charlie Brown. 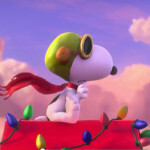 The main storyline sees lovable loser Charlie Brown (expertly voiced by Noah Schnapp) falling bald-head over heels for the famous Little Red-Haired Girl, while his best beagle buddy Snoopy (Bill Melendez) spends his time in imaginary “dog” fights with his arch nemesis, The Red Baron, all in an attempt to save an equally fictional pink poodle love interest named Fifi (Kristin Chenoweth). Of course, Charlie hangs with his security blanket carrying pal Linus (Alexander Garfin) while being constantly tormented by his buddy’s busybody sister, Lucy (Hadley Belle Miller). 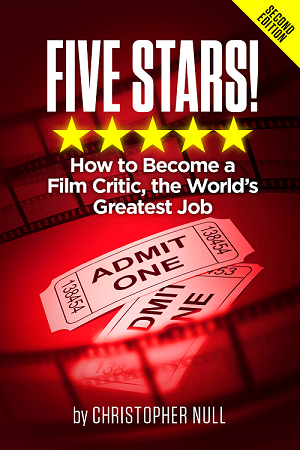 These dueling narratives provide the clothesline for a trio of screenwriters (including two members of the Schulz legacy, Brian and Craig) to remind us of the materials homespun humor. Yes, Snoopy’s obsession with the Baron and the creation of his Flying Ace alter ego are explored, as is Joe Cool. 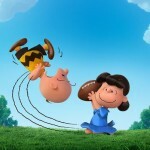 Of course, Charlie Brown struggles to keep his kite out of fun-hungry trees while Lucy enjoys embarrassing him both in the classroom, and outside of it (remember the football kick?). While parents will recall this from their past, the movie acts as a primer for those too young to remember when Peanuts was a daily back page companion. With Paul Fieg in the producer’s chair, you’d assume that The Peanuts Movie would be a sidesplitting boundary pusher, just like his previous work (Bridesmaids, Spy). Oddly enough, and more than likely because of the Schlutz family presence, he steps back and lets the film get away with a quieter level of funny. This is a “smile” experience. You’ll laugh, but the natural reaction will be one more of happiness and contentment. The Peanuts Movie is like a warming cup of tea with an old friend, not a wholly modernized revamp which loses its luster the minute a familiar face decides to “rap” to show how contemporary and up to date he is (don’t worry — that doesn’t happen here). About the strangest thing that this film offers is its wholesome low key energy. Sure, it makes the abject bullying that Charlie Brown experiences and his unusual string of bad luck go down easier, but kids in 2015 aren’t used to calm. For them, chaos reigns, and during the excellently staged action sequences between our black and white bow wow and his biplane flying foe, the pace picks up considerably. There are also songs here, though one imagines the late Vince Guaraldi giggling from beyond the grave at how empty and artificial they are. But when you consider the trainwreck that this could have been, had the Schulzes simply turned the property over to studio suits who eyed the bottom line, not a respectful reboot of what fans of the strip have known for nearly seven decades. Even with its dignity intact, The Peanuts Movie still feels a bit calculated, a way of reaching a much younger demographic without destroying their parents’ faith in the entire idea of a family film. It will be interesting to see, if successful, where a sequel will go. Schulz’s motives were always a bit more subversive than the TV shows and movies made of his characters convey. Few current based-on-previous material entertainments are considered faithful to their sources without souring them. 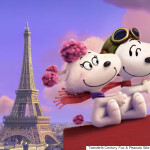 The Peanuts Movie manages to be a winning flashback while keeping its feet firmly in today. It’s terrific.